Before you consider cosmetic changes to your smile, ask yourself one question: how's your bite? How your teeth are positioned and aligned doesn't just affect their function — it also affects your appearance. A proper bite is foundational to a beautiful smile — and it deserves your attention first. Here are 3 important steps for addressing your bite problem on your way to a more attractive smile. Get an orthodontic evaluation. Only a dentist or orthodontist can determine if your teeth are properly aligned and working well with each other — and if not, why. 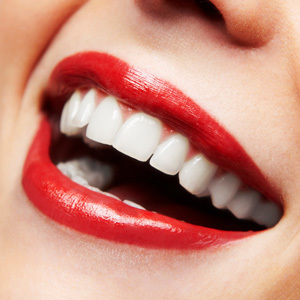 With their knowledge and expertise they'll be able to tell you what specific bite problem (malocclusion) you have and the best treatment to correct it to support any future cosmetic enhancement. Consider your tooth-movement options carefully. If you have a malocclusion, your dentist or orthodontist may recommend correction before undertaking other cosmetic work. In most cases, you'll have two choices. The first is traditional metal braces, which uses wires held in place and anchored by brackets cemented to the teeth. They're effective, but must be fixed in place and aren't considered attractive. The other choice is clear aligners, which use custom removable plastic trays worn in sequence to gradually move teeth. They're easier for oral hygiene and are hardly noticeable to others, but may not work in every bite situation. Don't slack on the retainer phase of treatment. The day will come when the braces or aligners come out of your mouth for good. But your realignment project isn't over — you'll need to wear a retainer appliance for a while. Re-aligned teeth can relapse to their former positions, so it's essential you wear a retainer to keep them where they've been moved. Without a retainer, all the time and effort invested in your bite will have been to no avail. In a nutshell: get the big picture about your bite, choose the treatment best for you and follow through on every phase. The end result will be a solid platform for the smile you've always dreamed about.